Well, there he goes again and right in my backyard. Old Skeeter keeps sayin' that word f#####k over and over, as if we ain't heard it before. Trouble is he done wore it out and me as well as everybody else, I suspects, just like on TV and the movies, it's makin' me real tired. Besides it isn't very creative after all. So I went out back and says to Skeeter, "Can you come up with something else when you is mad like that?" And he says to me, "I got freedom of speech in Cloutierville and I say what I want. If you don't like it, you get back in your house and keep your windows closed." Well, tarnation, that just riled me up, 'cause I reached those limits, and so I sure did set that feller straight right then about that "F word" and what cursing really means by letting loose that 'gator in my yard. Yeah You right Granny. 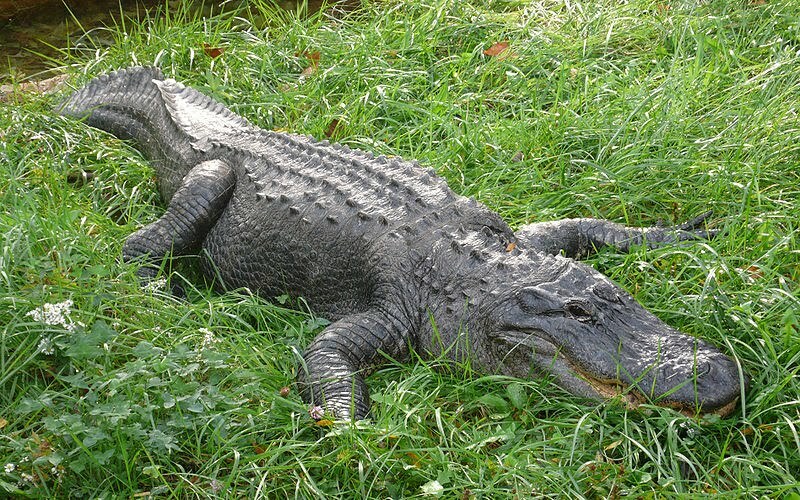 I am so glad you set that Alligator out to take care of Skeeter and the rest of them, using that F....... word.I am glad you are patrolling those country roads again. Thanks for keeping an eye out for us, I always feel safe knowing that you just take care of things for us folks around here.God Bless.